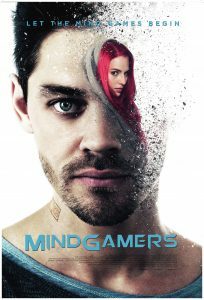 The movie “MindGamers” asks the audience the question: What if you could instantly connect and share the skills and mind of any human on the planet? 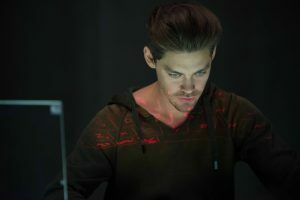 Headlined by Sam Neill (“Jurassic Park”) and Tom Payne (The Walking Dead), “MindGamers” follows a group of brilliant students who create a wireless neural network with the possibility to link every mind on the planet via a quantum computer. With the capability of transferring motor-skills from one brain to another they freely spread this technology with the belief that it will be the beginning towards a new equality and intellectual freedom. It is not long before they discover that they themselves are a part of a greater and more sinister experiment that threaten to subvert the network into a means of mass-control. For one night in U.S. cinemas on Tuesday, March 28th, 2017 at 9:00 p.m. ET/8:00p.m. CT/7:00 p.m. MT/ 6:00p.m. 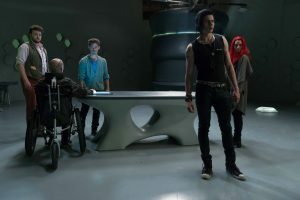 PT, with playback at 7:00pm local time for AK/HI, a one-of-a-kind event will take place thru Universal Studios/Terra Mater Film Studios and Fathom Events present “MindGamers: One Thousand Minds Connected Live“. The film is associated with a first in neuroscience and a first for the theater audience, as neuroscientist, Tim Mullen (founder of Qusp) has invented a headband exclusively for “MindGamers” that the audience will wear and will measure the brain activity of an audience of 1,000 people. While this live event takes place, the data will be collected from them simultaneously. These headbands will enable scientists to capture the cognition state of the participants simultaneously via cloud technology and collect data in real time. This amount of cognitive data has never before been measured and Tim hopes that the results will be significant enough to publish in a science journal. The live cinema event will open with introductory talks from Tim Mullen and Mikey Siegel, both leaders in the fields of neuroscience, technology and the collective consciousness. 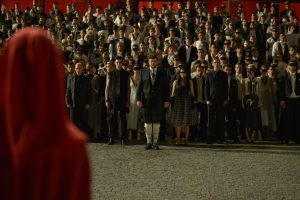 The feature “MindGamers“, billed as “the first action film for the mind” will follow and the event will conclude with a live Q&A and revealing of the first image of a mass-connected mind. Tickets can be purchased online by visiting www.FathomEvents.com and one can register to be one of the lucky 1,000 for the event by clicking the link mindgamersmovie.com/#/join (only people in LA and NYC can register). The director of “MindGamers” Andrew Goth debut as a director & writer was in 1999 with the tough and uncompromising Everybody Loves Sunshine (in US released as B.U.S.T.E.D.) starring David Bowie and Goldie. Lionsgate acquired domestic rights and the original screenplay was awarded the Carl Forman prize from BAFTA and went on to be selected as the opening for the Tokyo Film Festival. Goth moved on to the thriller/horror genre directing Cold and Dark and co-wrote and directed Gallowwalkers, a gothic western, starring Wesley Snipes. Andrew Goth answered some questions for Geek Nerdery regarding his newest film, the essentials of darkness and of course, his favorite space pirate. Geek Nerdery: What did you enjoy most about working with actors Sam Neill and Tom Payne? Andrew Goth: Sam is the definition of chilled. He puts immense thought into his role and hones every line,but all with the decorum of a man that has his s**t more than together. Tom (who plays a young version of Sam’s character) has the same potential for taking all in his stride. They both made my life very easy. Your film brings up being able to connect with the best and the brightest in the world. What do you believe are the benefits of being able to share minds that the film doesn’t show? Not just the brightest and the best, but all. I think the human drive to connect is incredibly strong. Technology is just creating the tools to enact that instinct. If I wanted to get philosophical and smoke this into making sense, I’d say that the benefit of this tech is that it is helping us to achieve our evolutionary destiny. It would also be very cool to download the skills of a free runner. What if the brightest have dark sides as well? What are the dangers of sharing minds? We all have dark sides. Ethically and physically there will be many hurdles to cross when we start sharing minds. The violence in the film represents the hurdles we might face. An exploding star is one, if not the most violently destructive acts in the Universe, but from its ashes, new stars and planet systems are formed. Darkness could be essential. This seems like a very physical film. Were there any circumstances that pushed the film in a different direction? The film is all about mind and body. They are indivisible. In the film, your body is capable of whatever your mind imagines it to be. Why or what do you think geeks will like about this film? The science is grounded and the women lead the field. Nuff said. What do want your legacy to be? As a teen I always wanted to make one piece of art that meant something. Now I really don’t know. Who is your favorite space pirate? Mal (Captain Malcolm Reynolds) from FireFly. Easiest question so far. “MindGamers” is in select theaters March 28th.